NOTE: This is the first of three installments about Plan-B Theatre’s season. The second installment will highlight the upcoming ‘And The Banned Played On’ event which will be held May 3 at The Rose Wagner Center for Performing Arts. ‘So: the Season of Eric. And I’m Eric; apparently sufficiently known (or at least notorious) to warrant not just a season of my work, but a marketing campaign based on my first name. It’s immensely flattering and a tremendous honor. Obviously, the greatest five events in my life were when I married Annette, and when each of our four children were born. I’m not kidding when I say this: The Season of Eric comes sixth.’ – Eric Samuelsen, playwright whose works comprised the entire regular season of Plan-B Theatre this year. 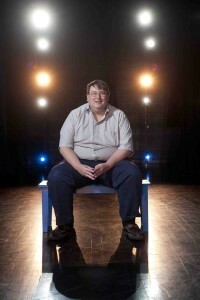 It is virtually certain every actor, crew member, director, and person affiliated with a Plan-B Theatre production of one of Utah playwright Eric Samuelsen’s work would describe this ‘Season of Eric,’ (the company’s 23rd season) as one of the most artistically satisfying experiences in their theatrical careers. ‘One of the most rewarding comments we heard throughout came from many audience members who asked when the next season of Eric will be,’ Jerry Rapier, Plan-B’s producing director, says. 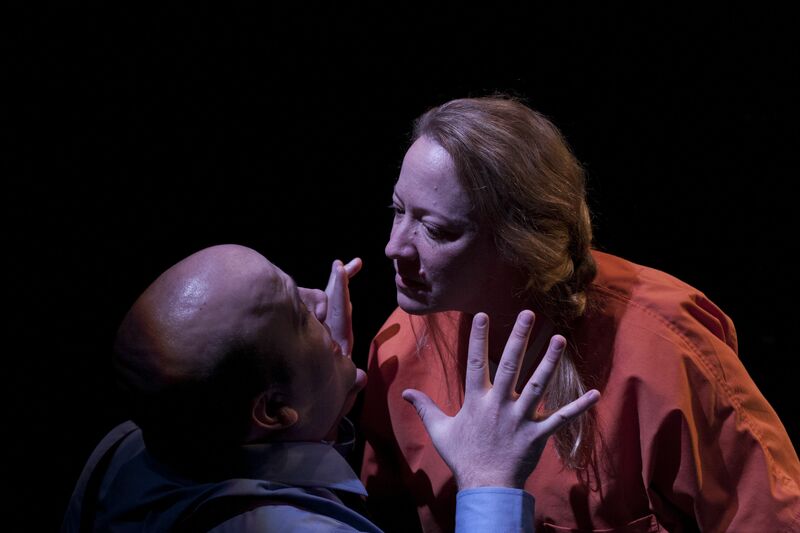 While the company produces many original works from various playwrights, especially from those in Utah as major parts of the regular season programming, this was only the second season in which the slate was built around a single playwright’s output. 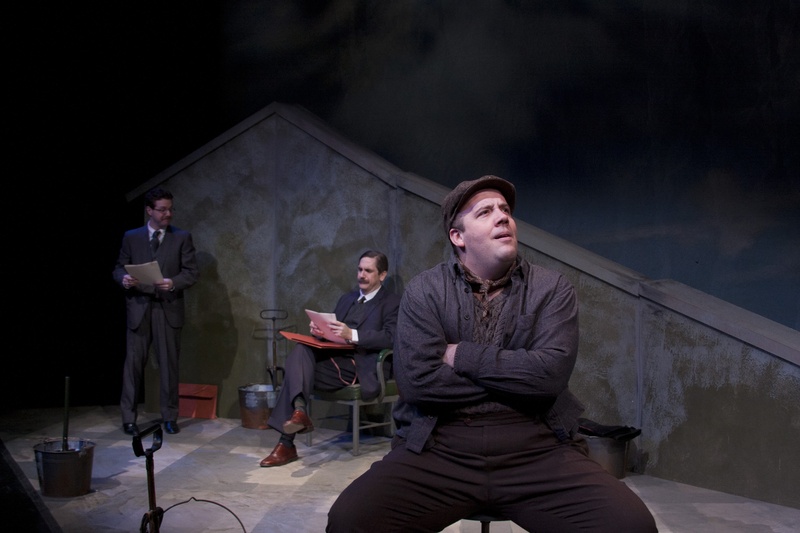 Five years ago, the season comprised plays by Matthew Ivan Bennett, a young Utah writer who is becoming one of the state’s best known literary figures, and it gave audiences a sustaining profile of a playwright whose full length works were being staged for the first time. 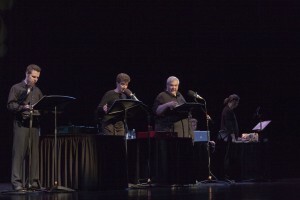 With Samuelsen, a generation older than Bennett and whose body of work already had been presented in various venues, Plan-B audiences already were familiar with several of his plays, including ‘Borderlands’ from three years ago which sold out every seat in a performance run that was extended. And, Rapier is pleased at how well audiences responded to the slate of Samuelsen plays which defined an erudite, restlessly curious mind that is as willing to compel audiences to contemplate the darkest ethics lapses of contemporary society as it is to make entertaining fare in topical treatments of economic theory, unsavory characters working in children’s television, and the emotional stress of women trying to sustain Mormon ideals of perfection. Nearly nine out of every ten possible performance seats sold out throughout the year, admirable results worthy of any theatre company. There were some surprises in audience reactions to Samuelsen’s work, Rapier admits. ‘Clearing Bombs,’ which imagined a night-long discussion during World War II by economists John Maynard Keynes and Friedrich August Hayek, was different from other Plan-B works which generally focus on social justice and how it effectively tugs at authentic human emotions. By focusing on economic justice – by no means an automatic audience pleaser — Samuelsen gently directed his audience toward becoming comfortable in the unfamiliar territory of economic theory. To help mediate the debate between the two economists, he introduced an Everyman character who effectively gave the audience-friendly, hands-on perspective clarifying the jargon uttered by his two compatriots on the chapel rooftop. 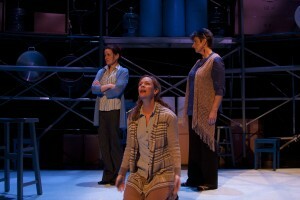 “Many audience members loved it and said how surprised they were at the emotionally involved production. They really thought the play helped to personalize the basic economic issues for them,” Rapier explains. For Samuelsen, the most challenging work to write was ‘Fairyana,’ the hour-long live radio production which was given its single-performance premiere in December and was aired on KUER-FM’s RadioWest program. Started as a traditional stage play more than a half dozen years ago, Samuelsen wrote about a group of children’s television show writers who had the major dysfunctional traits and habits that run antithetical to the Christmas spirit. However, he brought it full circle in a tightly written hour-long show of brilliant noirish comedy, accomplishing the neat trick of making the phrase ‘Snoogie oogums want yummy yum yums’ memorably creepy. 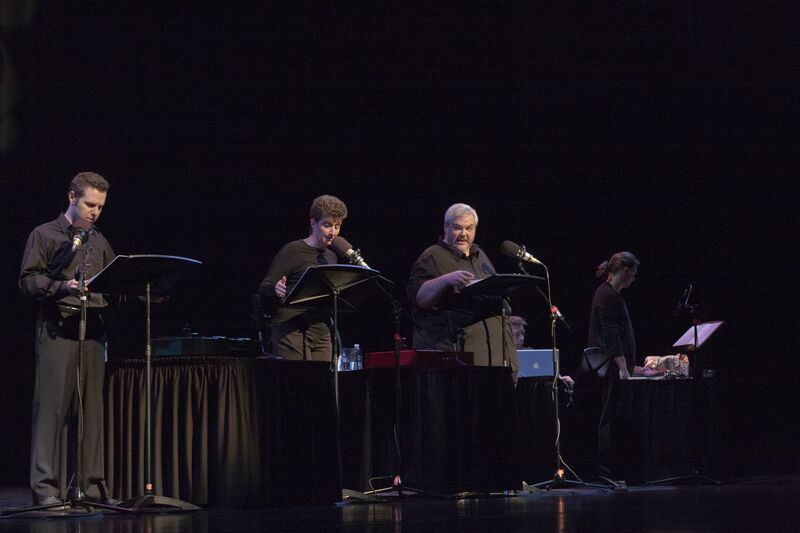 The recording of the live premiere is still available at iTunes. ‘The Season of Eric’ accomplished a major goal, according to Rapier. Audiences now see Samuelsen in a profile extending beyond a Utah playwright who has gained a prominent place in the Mormon arts and letters community. By the end of the season, Plan-B audience members came to appreciate a versatile, adventurous writer who has an uncannily smooth way of blending intellectual history with approachable, readily identifiable human characters who often, in a single evening, must experience, confront and reconcile the highs and lows of emotional impact. Late last summer, audiences got an early taste of the season when Samuelsen, whose scholarly research is based on Henrik Ibsen, saw his English translation of Ibsen’s ‘Ghosts’ presented in a Script-in-Hand reading. 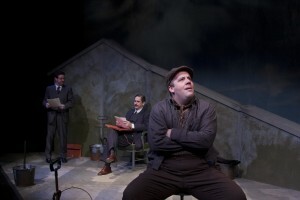 Audiences zeroed in on the moments when Samuelsen made visible the inherent bits of wit in the play, which often have been lost in more traditional renderings of this classic. Closing out the regular season, ‘3,’ the season’s last production comprising three short plays about Mormon women in various church ward settings, served to be an apt valedictory for the playwright. While Utah audiences responded enthusiastically to the stories and characters of ‘3,’ Samuelsen steered the contours of his work away from allowing the familiar territory to become the purview of insiders. As mentioned in an earlier review, while Samuelsen chose to portray Mormon women in their wards, capturing brutally honest and natural realizations, ‘3’ succeeds because it also compels comparable images in other settings, regardless of race, creed, ethnicity and social background. As for performances, in every instance, the actors displayed marvelous instincts, especially in finding the right rhythms even on opening night. Virtually every review of Samuelsen’s work this season from various media and sources agreed on this point. This season was as much about exceptional acting as it was about exceptional original material. However, Samuelsen’s scripts are anything but easy for actors to come to terms with during rehearsals. “From most actor perspectives, his scripts are hard to rehearse, hard to learn, and even hard to trust for their rhythm and pauses,” Rapier says. The dramaturgy that goes with each 70-, 80-, or 90-minute production covers huge swaths of interdisciplinary territory along with some well-chosen discreet bits of personal experience from the writer himself. Raising the challenge even more, a blind review panel reading these Samuelsen scripts would be surprised to learn they were written by the same person, Rapier adds. Indeed, it is convincing testimony to the company’s standards of performance art that these actors, including quite a few who had acted in other Samuelsen plays, made it seem so deceptively effortless. Duets from Eric Samuelsen’s ‘3’ with Stephanie Howell, Teresa Sanderson and Christy Summerhays. Plan-B has just released an ebook of the entire season’s plays by Samuelsen along with Bennett’s ‘Different=Amazing,’ the traveling production focusing on stories about children and coping with bullying. The book is available here. Keep reading the full story in part two and part three.